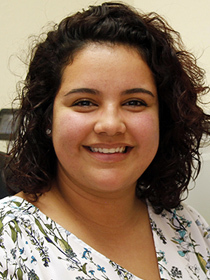 I'm Samantha and I'm the TRiO EOC Site Coordinator here at Trinidad State. Although I work out of TSJC, I technically work for Colorado State University - Pueblo too. I recently started my journey in Higher Education after going to school for Clinical Psychology, but I am still able to follow my passion of helping people through both career paths, which is what was most important to me. Whether you need help filling out your FAFSA, or a friend on campus, I am here to help!